Place ice cream, syrup, and milk in blender, place on the lid and pulse to combine. Add in the brownies and pulse a few more times until the milkshake is smooth. 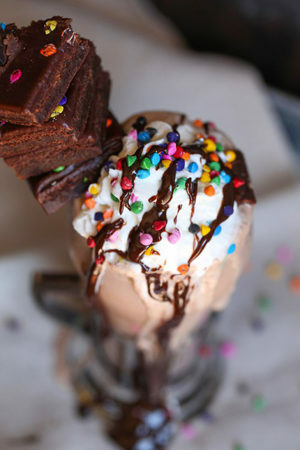 Garnish with whipped cream, rainbow sprinkles, extra chocolate syrup and more brownies!